At EZPLATES.CO.UK, we understand the importance of links. Links allow our valued customers to find relevant information from other websites. We positively encourage you to link to us, and we will link back to you. It is important to use text links as well as banner links, as text links are considered more important than alt tags on banner ads. To link to us, simply copy the HTML code (click to show) below and paste it onto the appropriate page on your website. 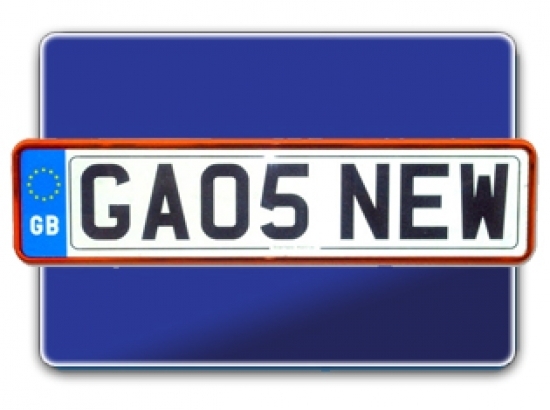 ezplates.co.uk​ - For show plates, custom designed car & bike number plates, 3D plates & the biggest choice of borders & logos on the net, look no further than Pimp My Plate. Aston Martin Owners Club - The legendary owners club for this greatest of marques. Club Audi - Excellent Audi website with lots of features. Barchetta UK Owners Club - Very useful site for the Fiat Barchetta. Coupe Club - Excellent site, a must for all Renault Coupe owners & fans. Fiat 500 Club - Great UK club for the brilliant Fiat 500. UK Quattro Owners Club - A must for Quattro owners & enthusiasts. BMW Racing Drivers Club - A neat resource for serious drivers of the Bavarian Marque. Club Clio - Fresh new site for all things Clio...very cool. Jap Car Culture - Cool online forum for Japanese Car Issues. Modified Ride - Great site for modified cars. Pug South West - Peugeot modding & cruising in the south west of the UK. Saxo Sports Club - Fantastic site, comprehensive forum for all your Saxo needs. S2KUK - The ultimate Honda S2000 resource, with club discouts and a 9000rpm red line. Motorcycle classifieds - UK Motorcycle classifieds, advertise for free! Bike accessories, Bike insurance, Breakdown cover, Rider training, See what your Bike is worth. Bikers Advice - Really well conceived site covering every question about bikes. Yamaha RD Forum - Brilliant RD forum, loads of members & each RD model covered. Vespa Club of Great Britain - Good little Vespa Club with Bi-Monthly magazine. Vespa Club of Scotland - Quality site with their own 'Cannonball'! Vespa Club of Canada - Brilliant Canadian site with tons of Vespa info. Nutty Boys S.C. - Quality site with all the right ingredients. Trojan Sport - One of THE places for aftermarket Japanese Tuning. Applied Styling - Great range of essential car care products. Modify Direct - Top styling kit from Lexus Lights to Lambo Doors! Vogue International - High end alloy wheel specialists. Wheel Mania - Alloy wheel specialists from the Midlands. Top Gear Ltd - For car tyres, alloy wheels, stainless steel exhausts and catalytic converters. Car Mats 4 U - Excellent quality car mats. Yorkshire Off Road Club - Primarily Land Rover, but covers all 4x4s. a comprehensive site. Wessex Hillrunners Off Road Club - Great club for off road enthusiasts. The Four Wheel drive Club of Southern Africa - A brilliant club, who know all things 4x4 & organise tours. Abingdon 4x4 Festival - Brilliant 4x4 event that raises alot for good causes. Personalised Number Plates Compare ratings, prices, read reviews and write your opinions and experiences of Personalised Number Plates. Bikers Engine - A bike orientated listing engine. Auto, Car & Truck Website Directory - Excellent US based Moto Directory. NITRO - Modified & Performance Car Site. Motoworld - Excellent motoring site, with tons of info including insurance. Tuninglinx - Top quality car tuning, sports car pictures, videos & car wallpapers website. Design Taxi - One of our favourite design sites. Very fresh. BMW Passion - Kicking BMW site, with forum. Covers all tuning aspects. Ace design. Fiat 500 Club Italia - Brilliant resource for this true Icon of motoring, the Fiat 500. GolfMania - Very good italian VW Golf enthusiasts forum Mk1 to MK6. Power Tuning CS - Underground Italian tuning network. Crazy Van Club - Informative & Crazy van club based in Italy. Tuning Video - Great & long established Italian tuning site. We love this site. James Whale Fund For Kidney Cancer - Great charity from the next Lord Mayor of London. Vote Whale!. © 2019 ezplates.co.uk All rights reserved.